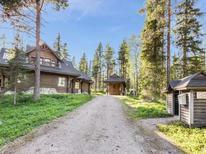 A holiday house in Finland costs on average GBP 831 in the cheap travel period and GBP 1,430 in the peak season per week. These details are of course in relation to the house and not per person as well as includes the obligatory additional charges. atraveo is the official partner of the Finnish Tourist Board. Finland is a country of many contrasts. It is not only renowned for its snowy winters and sunny mid summers with seemingly endless days, untouched woods, countless lakes and islands but is also revered for its culture, the Sami, comprising of great architecture and stunning design. The best way to enjoy all of this is by renting a holiday home in Finland which offers individual freedom and independence in respect to vacation planning. 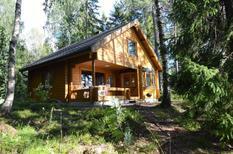 A mökki, a typical log cabin in Finland, offers holiday makers both privacy and tranquillity in great atmosphere. A mökki can offer different facilities and usually it provides a sauna with many of the Finnish log cabins located at a lake or at a forest. 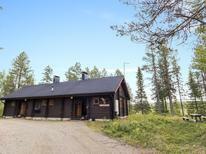 Experience the atmosphere of this great country and its fantastic nature in a holiday house in Finland. Finland is a country with many different facets. The relaxing and stunning nature of Finland is typical for the Finnish Lake District. Numerous blue lakes with islands, necks and green woods are characteristic for the region. 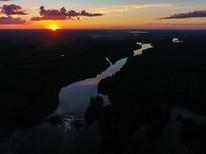 Saimaa is the largest of the Finnish lakes and constitutes the heart of the region. It is home to the endangered Saimaa ringed seal. At the shore of the Saimaa Lake several picturesque villages are seated, for example Joutseno. Its sights include the historic museum and the church. The indigenous animal park Korpikeidas does not only offer numerous animals but also a year-round fishing opportunity. 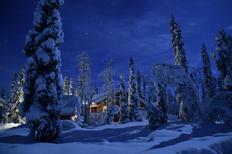 The largest province is Finnish Lapland in the north of the country. Its picturesque landscape is characterised by coastal plains, downs and thick forests. Popular cities are Inari with its unique scenery, nature parks and the Sami museum as well as Rovaniemi, Lapland’s capital. Also worth a visit is the Jätkänkynttilä bridge and when travelling with children you should visit the Santa Clause Village. A holiday house in Finland is ideal for visiting the capital Helsinki which is situated in the south at the Gulf of Finland of the Baltic Sea. Without a doubt the must-sees include the Cathedral and the Senate Square, the monolithic church Temppeliaukio Kirkko as well as the indoor market Kauppahalli. Other popular sights include the castle island Suomenlinna, which is UNESCO World Cultural Heritage and the Helsinki zoo. The summer activities include swimming, canoeing, boating, hiking, biking and riding. The Finnish Lake District is also a paradise for fishing enthusiasts. During the winter it is bitterly cold and the lakes freeze over. 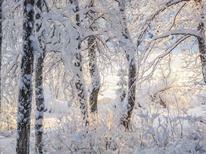 The conditions are perfect for ice skating, ice fishing, cross country skiing and snow mobile rides. There are also numerous skiing regions. One of the most popular activities of Finns is having a sauna. And those who dare a dip into an ice hole will probably never forget the heady feeling. The probably most Nordic experience is a ride with a dog or reindeer sleigh through the woods and mountains. 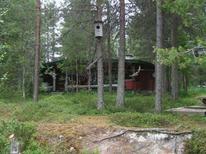 The perfect Finnish holiday can best be enjoyed from the comfort of a holiday house.